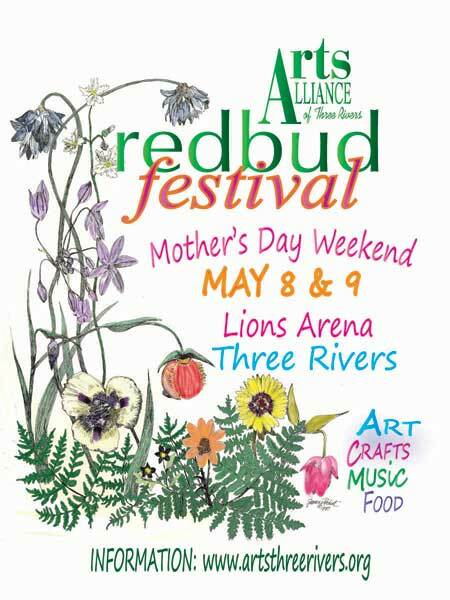 The Redbud Festival is sponsored by the Arts Alliance of Three Rivers. Call 559.561.4417 for more information. This entry was posted in Arts Alliance, Redbud Festival and tagged Arts Alliance of Three Rivers, California Artists, Redbud Festival, Three Rivers on April 23, 2009 by Elsah.